In an speech to a Minnesota anti-abortion crowd last week, former Alaska Gov. Sarah Palin seemed to see a conspiracy in a decision to put “In God We Trust” on the edge — rather than the face — of new presidential dollar coins. “She began her remarks with a puzzling commentary on the design of newly minted dollar coins,” Politico wrote. 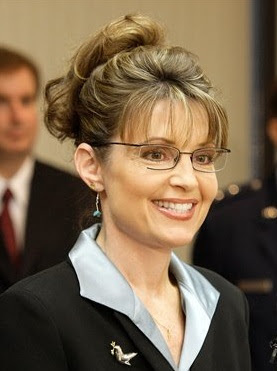 “Noting that there had been a lot of “change” of late, Palin recalled a recent conversation with a friend about how the phrase “In God We Trust” had been moved to the edge of the new coins. “It’s a disturbing trend,” she added. Turns out, the decision was made by former Republican President George W. Bush, and approved in 2005. Raw Story was the first to note Palin’s “conspiracy theory” Monday. The story then traveled to the Huffington Post, and then to — of all places — Fox News. And Fox fact-checked Palin’s claim. In the clip below, Fox’s Brett Baier notes that the decision to put the godly phrase on the side of the coin was made under a Republican administration, and not reversed until 2007 — with the support of Democrats in Congress.